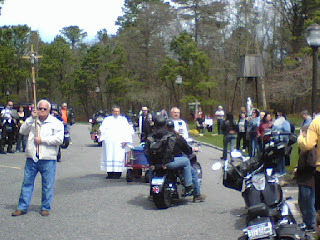 My Mom & Dad called from their home in Eastport, Long Island to let me know that the Shrine of Our Lady of the Island near their house had a "Motorcycle Blessing" last Sunday. Bring your moto, ride past the priest, and receive divine protection. Where can I get that in SF? 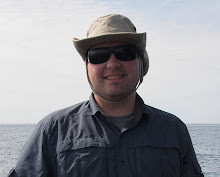 Photo courtesy of Bill Given. It was a trip to experience this event. The line went on for almost an hour. At the end, while driving my SUV down the one way road passed the chapel, the preist was still there, blessing vehicles. My MDX is now Holy!